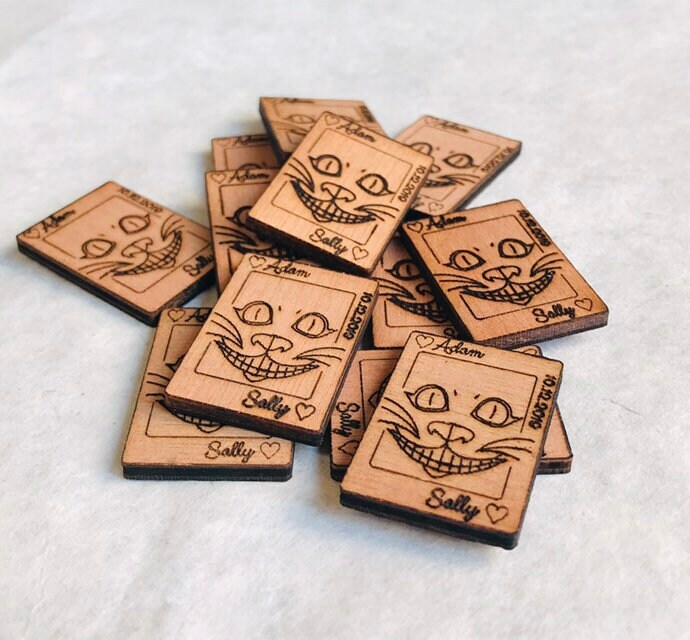 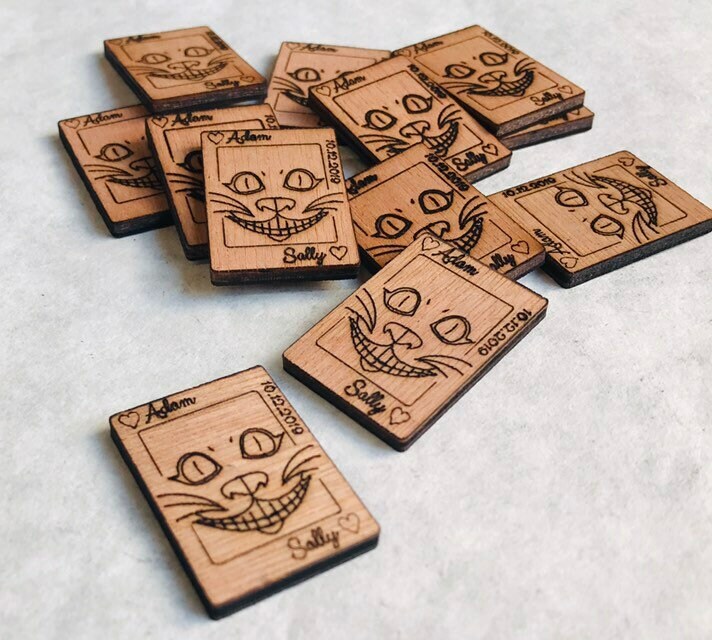 Mini Wooden Cheshire Cat Playing Cards Table Confetti, Personalised Tea Party Decorations. 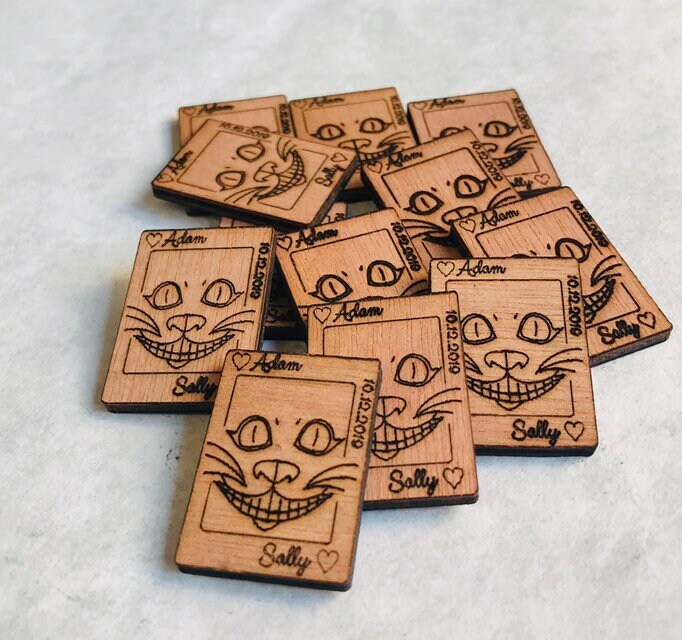 Alice in Wonderland, Wedding Favours. 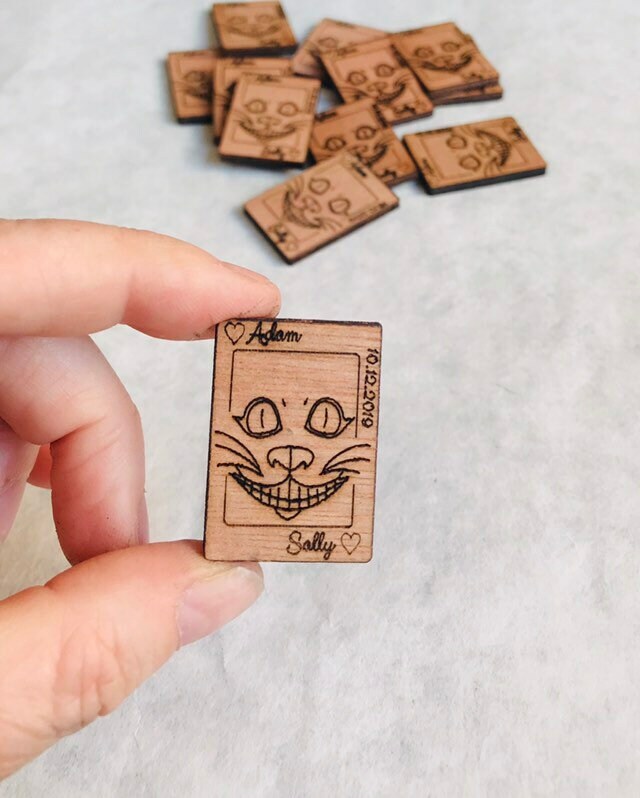 Approx: 2.2cm x 3.7cm - 3mm depth.